I LIVE NEAR AN AREA THAT IS VERY GOOD FOR FALL AND WINTER DUCK PHOTOGRAPHY, SO I TAKE ADVANTAGE OF IT A LOT. I HOPE YOU ENJOY THIS GALLERY. 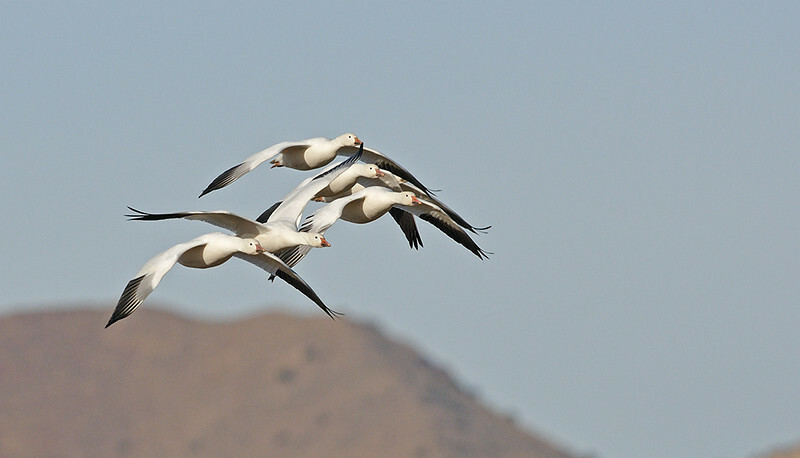 SNOW GEESE, BOSQUE DEL APACHE, NEW MEXICO, CAN YOU SEE THE SIXTH GOOSE.